Join us for our December meeting! —Letter to Cassandra Austen, January 9, 1799. 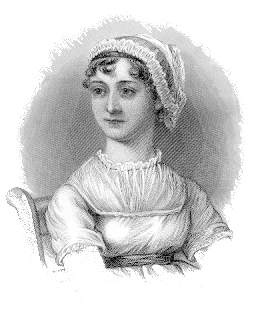 It’s time to celebrate Jane Austen’s 242nd birthday! In true Regency fashion, we will host a ball of our own to mark the occasion. If you’ve always wanted to learn to dance (or just prefer to watch), this is a great opportunity to practice with our favorite English Country Dance expert and dance caller Carol Kopp and the Toad in the Hole musicians. We have also asked her to bring some of her friends, who hopefully won’t mind if we step on their toes a bit. If you plan to dance, wear comfortable attire and shoes. You are welcome to wear your gown if you choose, but fancy dress is not required. If you do not intend to dance, we will have a table for card games (with instructions) that feature in Austen’s novels and other Austen-esque activities. We will have birthday cake and sparkling (non-alcoholic) beverages for a special toast to Jane. If you would like to bring a light snack to share, please contact myself or Mary Daubenspeck (fisherbodyjohne@aol.com) to coordinate. I look forward to seeing you there!